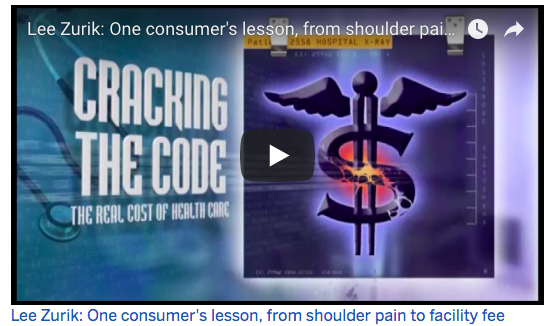 “‘Cracking the Code: The Real Cost of Health Care,’ a joint project of NOLA.com | The Times-Picayune, WVUE-Fox 8 and ClearHealthCosts, was nominated Tuesday (April 10) for a 2018 Peabody Award, handed out annually to honor the best in TV, radio and digital media,” Mike Scott writes over at NOLA.com. “The series was one of 60 nominated projects selected from approximately 1,200 submissions. ‘Cracking the Code,’ launched in April 2017, followed a months-long investigation into local health-care pricing. The project helped consumers navigate the often-frustrating world of medical pricing and explored ways providers, insurers and regulators can improve the system. Central to the project was a database of health-care prices using reporters’ researched prices as well as those provided by readers of NOLA.com | The Times-Picayune, viewers of WVUE-Fox 8 and users of ClearHealthCosts. ‘The partnership between NOLA.com | The Times-Picayune and Fox 8, now in its fifth year, is a model for how local newsrooms can collaborate to produce important journalism for their communities,’ said Mark Lorando, editor of NOLA.com | The Times-Picayune and vice-president of content for NOLA Media Group. ‘But this honor is especially gratifying because of the essential role our readers, Fox-8’s viewers and ClearHealthCosts’ users played in the reporting. Engaged audiences are good for journalism.’ Fox 8 General Manager Tim Ingram added: ‘Good journalism matters. It is important and makes a difference to the communities and the viewers we serve. We are very proud to have the work of our investigative team, and our partnership with NOLA.com | The Times Picayune as well as ClearHealthCosts, recognized for these important investigative efforts that impact real people across the country.’ The project was led by NOLA.com | The Times-Picayune reporter Jed Lipinski and senior news editor Manuel Torres; by Fox 8 investigative reporter Lee Zurik; and by Jeanne Pinder, founder and CEO of ClearHealthCosts. WVUE and Zurik were also recognized for their work on their related project ‘Medical Waste,’ about so-called ‘clawbacks,’ an insurance industry practice that costs some consumers thousands of dollars a year.” Mike Scott, “NOLA.com | The Times-Picayune, WVUE-Fox 8 named Peabody Award finalists,” NOLA.com.